If you’re in the market for a new vehicle but aren’t sure which one to get, check out our Chevy dealer near St. Charles. We’ve got everything you need to provide you with a top-notch car buying experience with America’s best car brand. At Chevrolet of Naperville, we serve a variety of communities around the Chicago area and are committed to giving back. We proudly help support families who have children with autism through the Turning Pointe Autism Foundation. Our commitment to the communities that we serve is embedded in our customer service relations—we know that your business is the essence of Chevrolet of Naperville. Our team makes every effort to make your experience with us enjoyable when buying a Chevrolet. So why should you consider a Chevy for your next new car purchase? With more awards from J.D Power than any other car brand, you can get excited about purchasing an American legacy for your next great car. Chevy has the lineup of brand-new cars you need to take advantage of hybrid and electric driving. Whether you’re into getting the most out of your miles or just want a great car regardless of the engine, consider Chevy’s most impressive compact, mid- and full-size sedans for 2017. The Chevy Bolt can get up to 238 miles on electric alone. With its modern design and roomy interior, this compact car is available for a great price. Named 2017 Motor Trend Car of the Year, the Chevy Bolt is your best pick for all-electric fun! On the other hand, the Chevy Volt gets up to 53 miles on electric power and 420 with a full charge in addition to a full tank of gas. With upgraded performance and efficiency, this car earned the IIHS’s Top Safety Pick for both 2016 and 2017. The 2017 Chevy Spark packs worldly style into a car with 27.2 cubic feet of storage and fun colors like Splash and Mint. This excellent city car was ranked by Kelly Blue Book as one of the Most Fuel Efficient Electric Cars. Chevy’s Sonic features a sporty design with key safety features for your family or teen. Kelly Blue Book ranked the Sonic one of the 10 Coolest Cars Under $18k. If this car is a little too small for your liking, consider the Chevy Malibu or Impala for 2017. The Malibu is one of the IIHS’s Top Safety Picks for 2017 while the Impala earned Kelly Blue Book’s 5-Year Cost to Own for a Full-Size Car for the last two years. The Impala features an upgraded interior with sophisticated style and performance excitement. Let’s not forget the legendary Camaro, which offers upgraded technology combined with performance for your 2017 ride. Car and Driver ranked the Chevy Camaro as one of the 10 Best Cars for both 2016 and 2017! Your pick of Chevy’s trucks include the mid-size Colorado along with the larger and more powerful Silverado 1500 and Silverado HD line. The Silverado HD trucks feature the 2500 and 3500 trucks to provide you with maximum in-class towing. The 2017 Silverado 1500 has 420 horsepower with 460 lb.-ft. of torque. With a 12,500 pound towing capacity, the 1500 is best for those who want capability when they need it, but a commuter vehicle when they don’t. With up to 24 MPG, the Silverado 1500 provides you with the best of fuel economy and capability. The 2017 2500HD and 3500HD both have 910 lb.-ft. of torque, but their towing capacities are quite different. The 2500 allows you to tow 18,100 pounds while the 2500 pushes that number up to 23,300 pounds! The 2500HD has a new diesel engine available—Duramax 6.6L Turbo-Diesel—for 2017 that gives you the additional torque and towing capacity. The Silverado 3500HD features Digital Steering Assist to help you safely handle large loads along with available Wi-Fi so that you’re always connected in your truck. The Chevy Colorado gets up to 30 MPG and has 7,700 pounds of towing capacity with an optional ZR2 off-roading package to make this truck your dream vehicle. With 308 horsepower and best-in-class towing, the 2017 Colorado is here to bring you the best of adventure and refinement all in one. Whether you’re traveling solo and just love the available cargo space or need room for a family of seven, Chevy’s five crossovers and SUVs for 2017 are here to meet your needs. Choose from Chevy Trax for safety and reliable commuting in a crossover or the Chevy Suburban for a whole lot of cargo room for whatever you need. With seven air bags, fourteen charge points, and 121.7 cubic feet of cargo space, the Suburban is power and refinement just waiting for your next adventure! We know you have a car in mind for your next Chevrolet, but when you have to choose between so many different models and trim levels, it can feel like a hassle. We’re here to make your car buying experience simple at Chevrolet of Naperville. When you visit us, our friendly and skilled staff ensures that you get the car you really want. Whether you’re looking for a full-size truck with all the trimmings or a compact car for city driving, we can help you weigh the options and make the right choice for your next new Chevy. 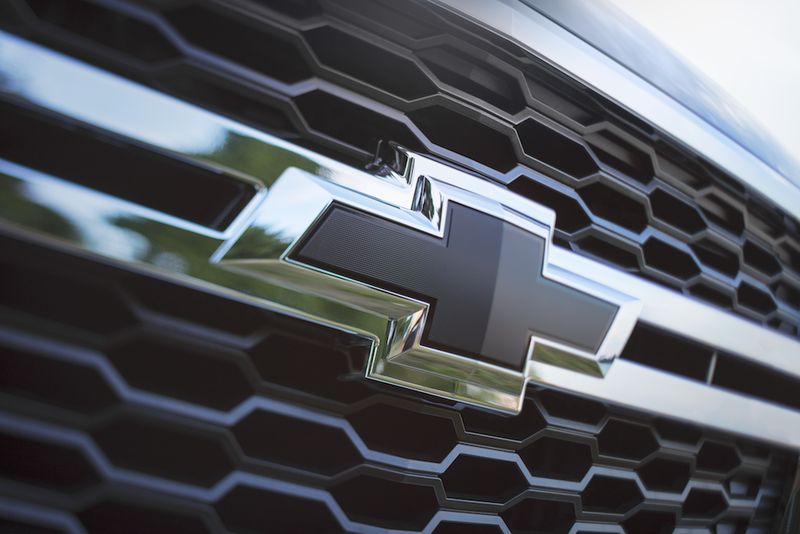 With an American legacy as vast as Chevrolet’s, you don’t have to go from brand to brand looking for a great truck, a reliable car, a performance beast, or a family SUV. Chevrolet offers all these and then some! With all of our new Chevrolets in stock, we’re happy to help you. Are you ready to browse for your next Chevy? Come visit us to test drive one and see our selection of more than 400 vehicles. We make car buying easy and hassle-free with our in-house financing team and helpful, friendly crew of sales associates. Interested? Give us a call at (855) 409-8701 or visit us in person at 1515 Ogden Avenue in Naperville.